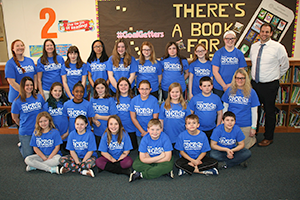 We want to come together as a community to celebrate a year of hard work and highlight the achievements of our students and staff in the area of STEM education. 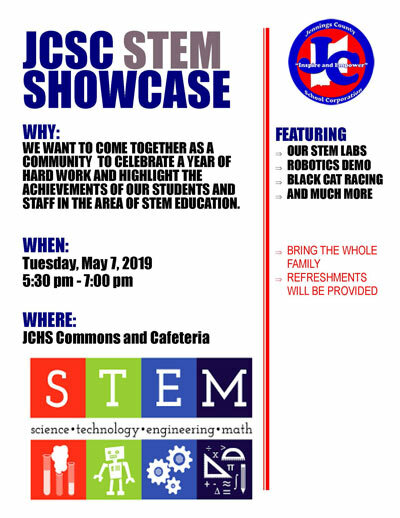 Please join us on Tuesday, May 7 from 5:30 until 7:00 p.m. for a JCSC STEM showcase! It will be in the JCHS commons and cafeteria. We will be featuring our STEM labs, there will be a robotics demo, black-cat racing, and much more. We will be providing refreshments, so feel free to bring the whole family. We hope to see you there! North Vernon Elementary (NVE) is now offering easy access on everything you will need for back to school via 1st Day School Supplies. Pre-order today through June 15, at 1st Day School Supplies. When ordering from this website, delivery of your child’s supplies is direct to NVE for the new school year, with your child’s name on them. Get your children exactly what they need for school, without the hassle of going to a retail store and running the risk that the store may not have exactly what you need. We are in need of field day volunteers for May 17, from 9:45 a.m. to 2:00 p.m. If you have interest in volunteering, please send in a note with your student. We must have a background check on file prior to date, in order for you to volunteer. We can send background checks home to complete and return to school. Thank you for your consideration! ILEARN testing begins on April 22 and runs through May 9. Please try not to schedule appointments for any 3rd through 6th grade students during this time. It is very important for your students to attend school. We will not be interrupting classrooms during testing times. Thank you for your help and consideration! Come one, come all! It's the last call for k-roundup! NVE will be hosting an all-county k-roundup. 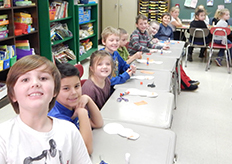 If you have a student starting kindergarten next year who is turning five-years-old by August 1, 2019, and you have not been to any Jennings County Schools k-roundups, please join us on Tuesday, April 30 from 5:00 until 7:00 p.m. at North Vernon Elementary. It doesn’t matter if you will be attending any other outlying schools other than NVE. This is an all-county k-roundup. Please bring your student, their birth certificate, and their vaccination record. We look forward to seeing you there! Monday, July 29 from 11:00 a.m. to 5:00 p.m.
Tuesday, July 30 from 1:00 to 7:00 p.m.
Parents of North Vernon Elementary students should chose one of these times to register their student(s) for school for the 2019-2020 school year. We look forward to meeting our students for next year! K-Kids collected over $1,000 for Pennies for Patients. Way to go! North Vernon Elementary is now offering easy access on everything you will need for back-to-school from 1st Day School Supplies. Pre-ordering online is available until Saturday, June 15. The company will deliver your child’s supplies directly to the school for the new school year with your child's name on what he/she needs for school without the hassle of going to a retail store that may not have exactly what he/she needs. Mark your calendars for our 5th and 6th grade fine arts showcases. Students should arrive at 5:30 p.m. wearing jeans (or dark pants/leggings) and a spring colored top.